Are you sure of this setlist? This was at this gig and it turned me into a raving Ride fan, still writing about them in 2018! I was standing next to the mixing desk and could see the setlist. Obviously a long time ago, but I remember the list had really early stuff like Silver on it. And it definitely had Drive Blind because they went into the crazy bit for a good 5 minutes and then snapped out of it. At that point, I became a Rider! 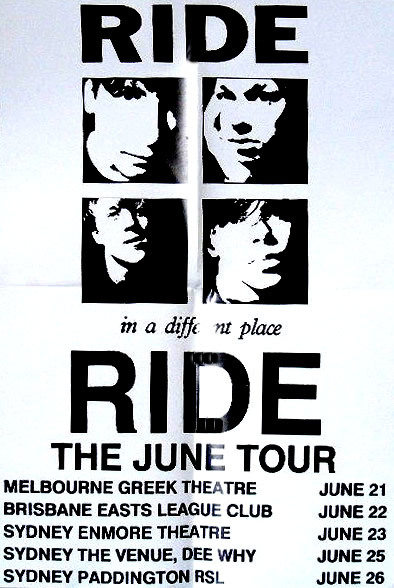 Not easily forgotten – one of the defining concert experiences of my life.